The biggest loser within the realm of Nike’s collared mania has to be all of the extremely high quality second-tier boots that never seem to get any attention. 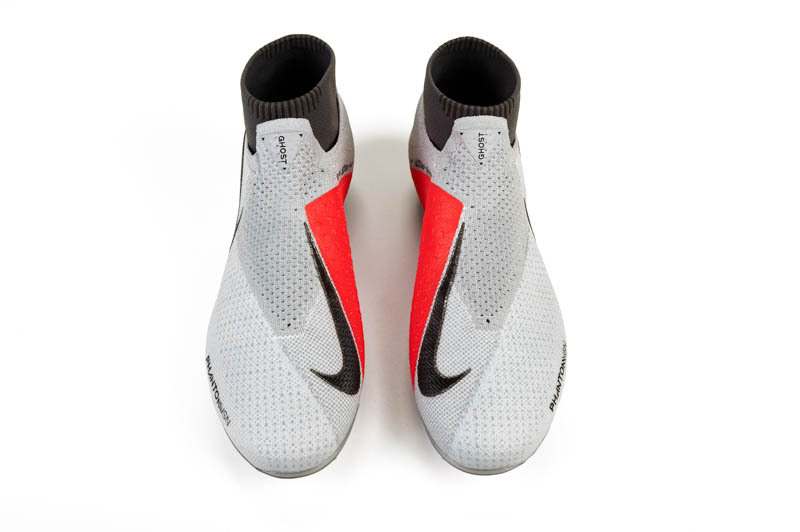 While the masses flock to the Obra, SuperFly, and Phantom, we here at The Instep have a wealth of praise for the entirety of Nike’s non-collared top boots. With those ideals in mind, we couldn’t wait to lace up the HyperVenom Phinish to see if it could stand up to its fellow Swoosh counterparts. A slight departure from the original Phinish (which was a definite take-down model of the first-gen Phantom), the updated Phinish bears a considerable wealth of similarities with its HyperVenom doppelganger. The beauty of this review comes from testing both the leather Tech Craft version and standard Phinish II, meaning that we can conclusively tell you how the boot will perform no matter which version you end up bringing home. There is definitely a reason that Nike is still the king of the boot world, but will the Phinish solidify the strength of the brand or will it be the weak link in Nike’s chain? Getting these boots in your hand has you wondering if the only difference between them and the HyperVenom is the FlyKnit collar. Nearly every aspect cosmetically is identical on the upper, with the only major difference being that the soleplates bear some slight differences on some models. 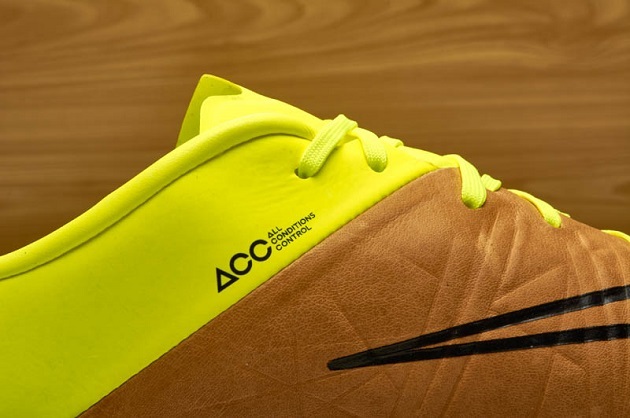 You are immediately drawn to the criss-cross of random lines and creases that cover the entirety of the boot and give the HyperVenom a very unique look. Nearly every Venom release has had two contrasting parts of the boot broken up by the jagged shape that seems to crawl from the sole onto the upper. The newest TechCraft II version and the Bronze version from the Liquid Chrome Pack are no different. To us, the Phinish has a bit harsher look to its upper, which might end up scaring some away from the boot…but we found that most of the folds on the upper are merely cosmetic. The HyperVenom line has always provided a great touch on the ball with zero added gimmicks to hamper your quick flicks and tricks. The newest Phinish carries on that capability. Don’t let the various creases on the upper fool you, once the ball is at your feet, nothing changes how the ball moves except for your movements. Despite looking incredibly defined in pictures and in person, the upper feels smooth on the ball, and you quickly discover that all the folds are merely cosmetic (or, maybe added for a quicker break-in). 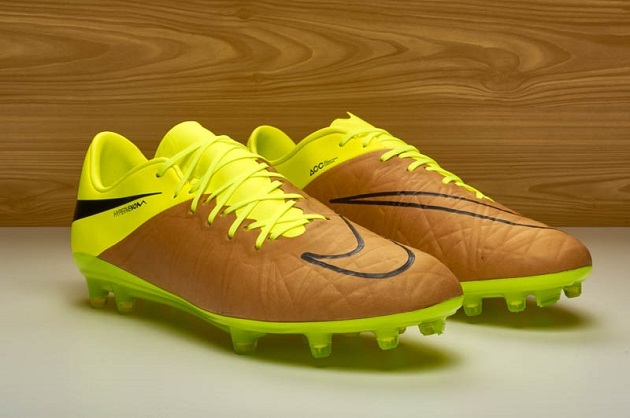 The upper is a new take on Nike’s NikeSkin with a few other tweaks, and you really enjoy your time on the ball. The upper isn’t as thin as what you would find on the Vapor, but you still feel like you are extremely close to the ball. There is a slight texturing to the upper, and we did feel like this gave us a bit of added grip when making various maneuvers. 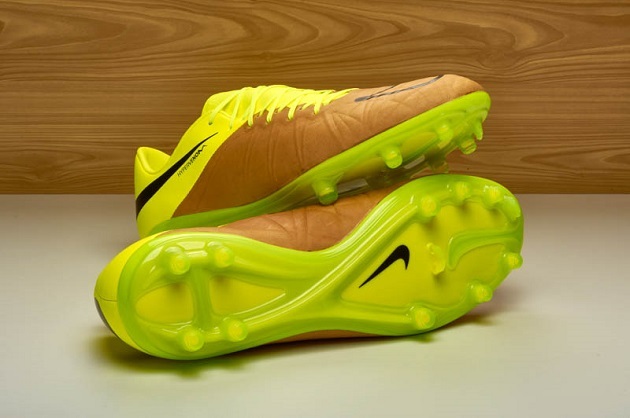 While we enjoyed the touch, we feel like this could be improved with future versions and would rather wear the Vapor or other boots if a barefoot feel is what you are hunting for. On the leather Tech Craft version, this texture isn’t present, but the padding of the leather makes up for it (while providing a more padded touch to the synthetic version). Striking the ball with the Phinish is where the boot’s design truly comes into play. Designed with a much larger striking area than the other boots on Nike’s roster, it is a pleasure to ping shots with the Phinish. The synthetic and leather versions both excel while striking the ball, and you definitely enjoy driving your foot through the back of a volley or laser-strike. 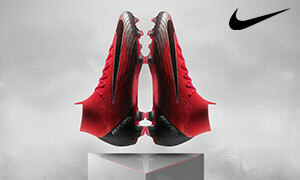 The upper does have Nike’s All Conditions Control tech added, but anyone that has tested a wealth of boots will tell you that this is mostly added to put a feather in Nike’s cap. It does help some of the water bead up during wet conditions, but don’t expect the ACC to give you superpowers when the weather turns nasty. Where most boots tend to feel like their marketing might be filled with gimmicks and empty promises, the newest Venom boots feel like claiming “deadly agility” is perfect. The FlyWire and and structure of the sides of the boot make it feel like one of the most responsive boots on the market. If you hate boots that have a lot of roll-over and are terrified of rolling ankles, the Phinish practically erases those fears. The benefits of the build continue with the soleplate, the one area of the boot that is largely unchanged since the original Hypervenom. A conical set-up that is incredibly dependable while still providing a high level of grip, it is one of the few stud-patterns that appeals to practically any player’s sensibilities. 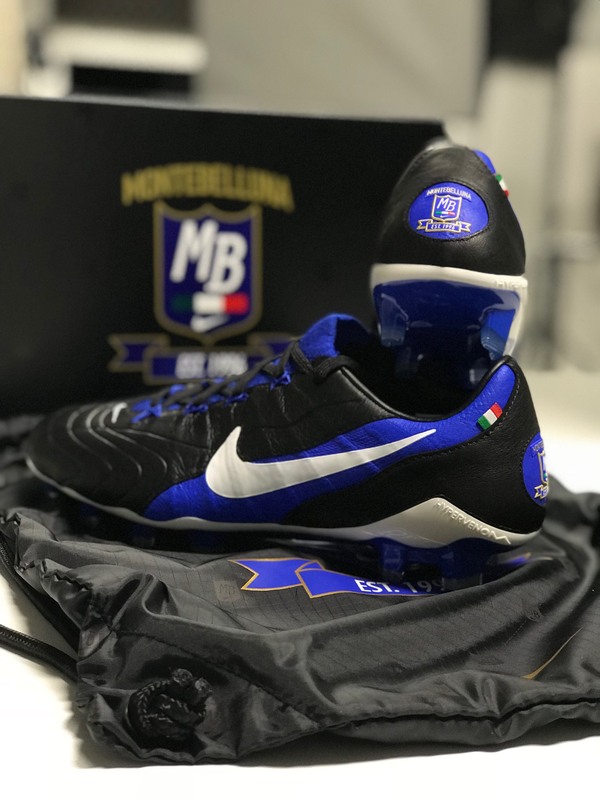 While the HyperVenom won’t be breaking any records in terms of being lightweight, the entire build of the boot combines with a fairly light build to make it feel like one of the lighter boots available. The Tech Craft version feels like it has a little extra heft, but we never experienced a moment where the boots ever felt heavy or cumbersome. The first thing you notice once you have the Phinish laced up and ready to go is that the boot is a bit stiff. We think that this is why Nike added all the various creases and lines in the upper (so that the boot bends and moves a bit easier during wear), and the boot does break in after only a few sessions. You never quite find the softness of the original Phantom, but the upper does become fairly pliable and offers a high level of comfort after a bit. You never get the boot as soft as you would hope, but that’s probably my experience with the original Phantom that has me feeling that way. The tongue-less design, much like the Vapor, helps give the Phinish an amazing fit without needing the benefit of FlyKnit or a collar. For wide footed players, getting the boot on will be a bit of a struggle, but the boot is fairly accommodating if you are able to slip the boot on your foot. The FlyWire works with the laces to make sure that you always feel locked in while wearing the Phinish. One area where Nike definitely listened to fans of the original Phantom was in a category that factors into “The Feel” and the next category. The durability has been much improved, and we fully expect the Phinish II (or new Phantom) to last at least a season. This is a big upgrade over the original HyperVenom’s very well-covered durability woes. The Phinish does sit around $70 lower than its Phantom counterpart, but it will set you back around $200 to bring home a pair. Our good friends at SoccerPro have a bunch of Phinish boots available on sale, so they can definitely set you up with whatever tickles your fancy. With the Phinish not nearly getting as much press as its collared brother or the other non-collared models, this is definitely an easy boot to find for a great deal. Nearly every professional that is a face of the Hypervenom is wearing the Phinish. 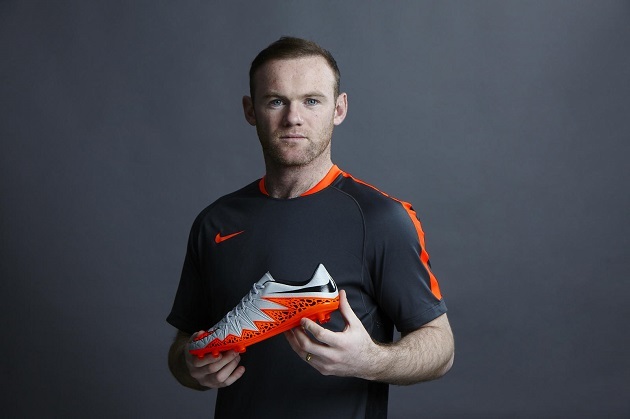 The two biggest stars right now would have to be Wayne Rooney (even without his scoring touch, the guy still sells boots) and Harry Kane (the heir to England’s Nike throne?). While some might claim Neymar is also rocking the Phinish, it takes only a few glances to realize that he is wearing Vapor X’s made to look like the Venom…tsk tsk, Mr. Neymar. 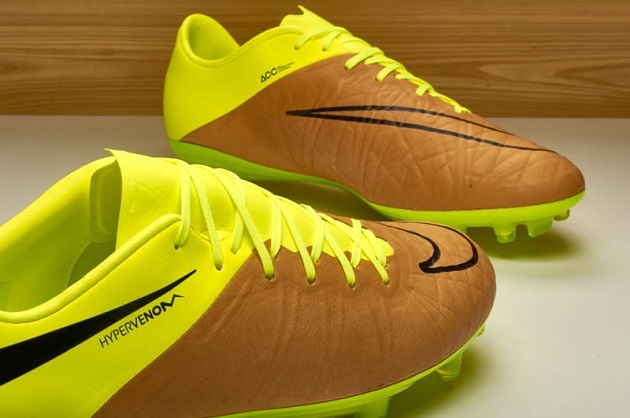 Watch for a wealth of Hypervenom Phinish on display in this summer’s Euros. 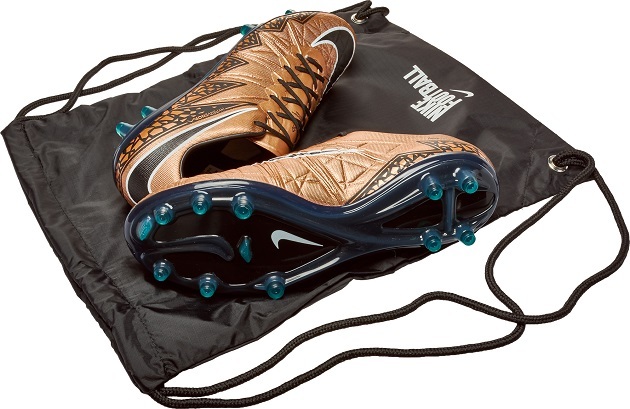 While I have preferred nearly every collared version available in Nike’s current boot “world,” the Phinish actually takes the cake in the Hypervenom series. In comparison to the Phantom, the Phinish is capable of an amazing fit, a nearly identical touch and feel on the ball, a totally identical soleplate, but the Phinish is much cheaper. With all of us pinching pennies, the price difference is the game changer that has me preferring the Phinish. A quality offering from Nike, but the change from the original Phantom has us experiencing a bit of whiplash. The first thing I said to my friends that asked us about the Phinish during testing keeps coming back to me…”Good, but not great.” We hope that future offerings have a slightly better feel on the ball and goes away from the odd look of the upper. Still, that shouldn’t scare you away from a great option and a good boot from the Swoosh.